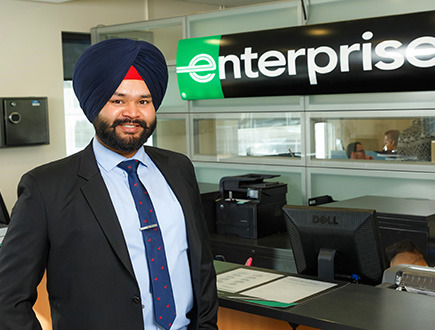 Like so many others at Enterprise, I began as a Management Trainee. From there, I became an Assistant Manager. I am very appreciative of my managers, as they are constantly pushing me to be my best and move forward. They’re always in touch talking about my performance, so I always know where I stand. 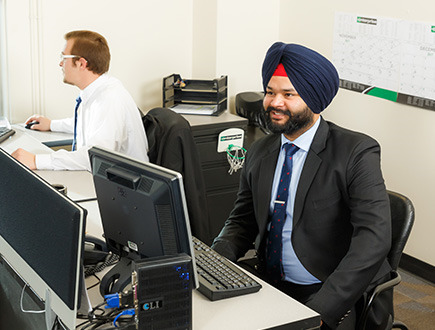 The culture at Enterprise is what keeps me motivated and energized. No one has ever treated me differently because of a physical disability I have that affects my hands. I go to work each day to help people, whether it’s that person who got stuck in a snowstorm or the family in a car accident who needs a rental right away. "Take ownership over your position. Do whatever it takes to take care of customers and help yourself excel." "If you’re motivated and keep a positive outlook — for yourself and your coworkers — you will find success at Enterprise." "Be a good listener and a good learner."